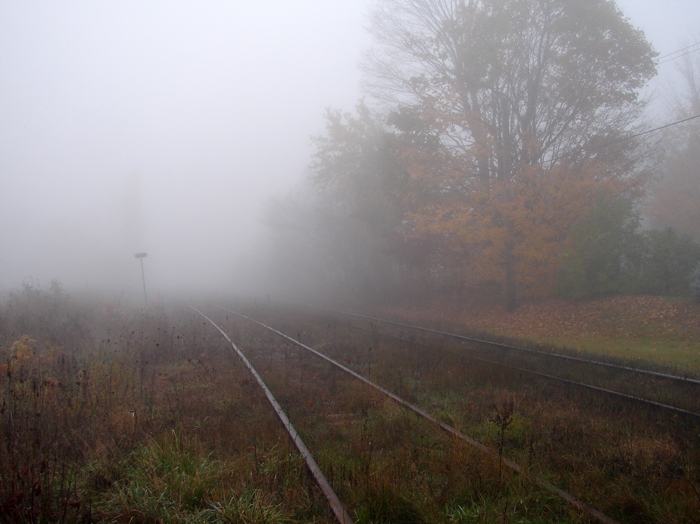 A view looking south along the train tracks at First and Phillip Streets in Gravenhurst on a foggy morning. 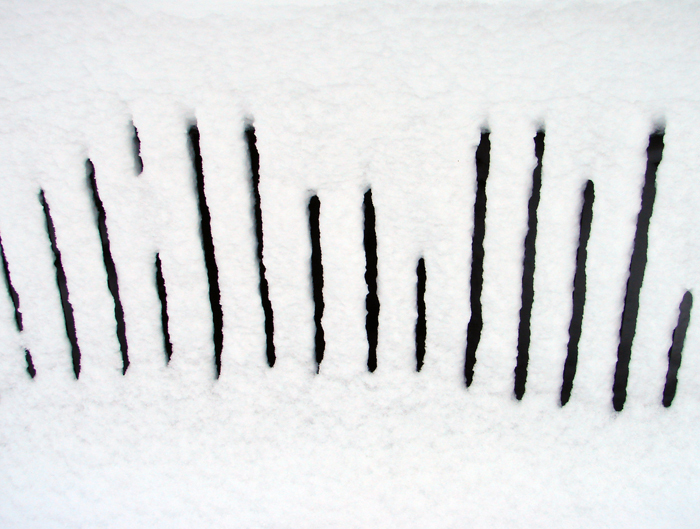 Snow creates an interesting pattern on a wooden bench. 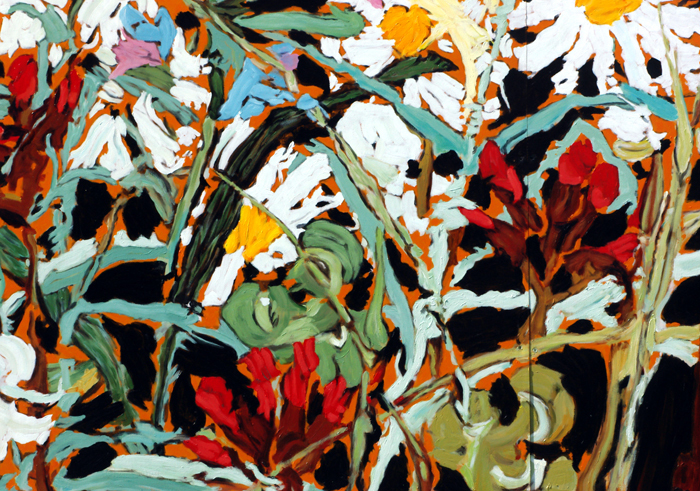 This colourful piece is a detail of the mural re-creation of the 1917 painting Wild Flowers by Tom Thompson. Painted by artist Gerry Lantaigne, this mural is in Baysville, Ontario and is one of The Group of Seven Outdoor Gallery's 91 murals. 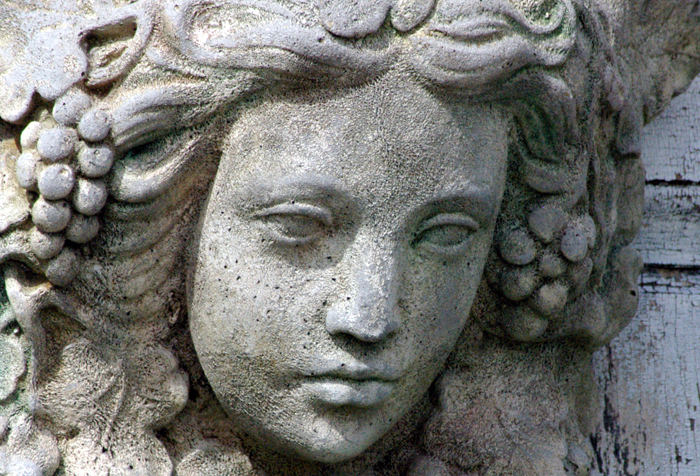 This pensive looking girl is a cast cement, sculptural face found at one of the coolest stores around, Artefacts Salvage and Design in St. Jacobs. 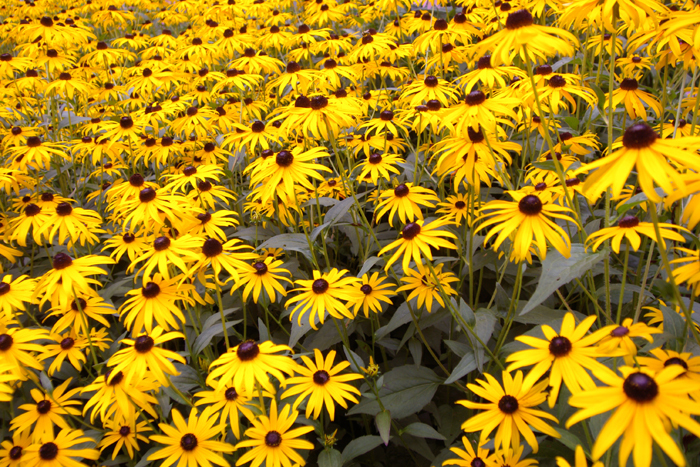 I took this shot a little while ago in early fall of a garden teeming with Black-Eyed Susans, also called Coneflowers or Rudbeckia. 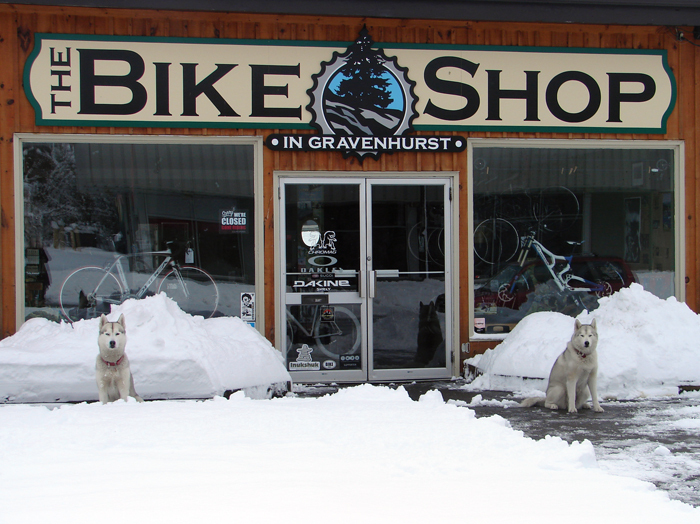 Husky dogs Maverick and Goose sit on guard out front of their owner's shop in Gravenhurst while he clears the mounds of snow from the parking lot. Last Friday in Gravenhurst, we got a major snowfall - which has since almost all melted. 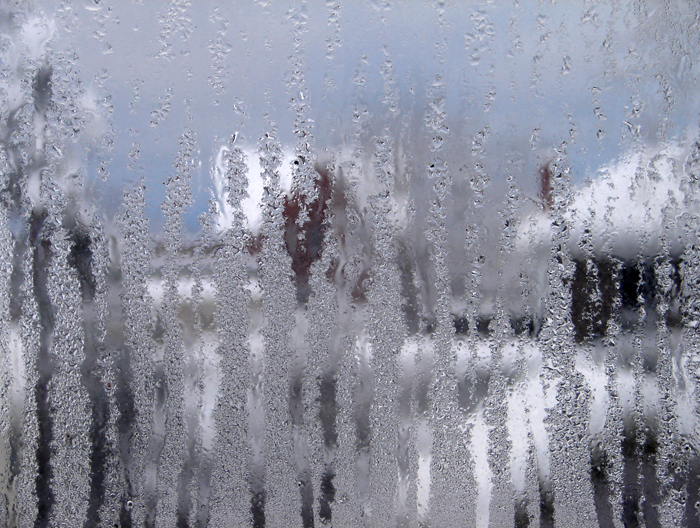 This is a view from my window that day when we also had no power until mid afternoon.